The Reading Phillies announced on Saturday the new name for the baseball franchise that has been the Double-A minor league affiliate of the Philadelphia Phillies for 46 Years. 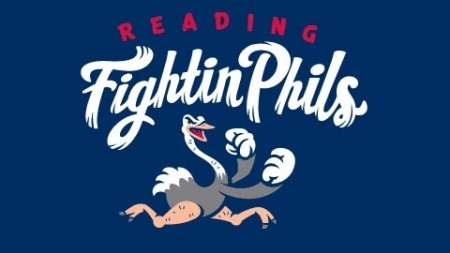 Paying homage to that tradition the team will now be known as the Fightin Phils. The big league club has affectionately been called "Fightins" since the Whiz Kids era on the '50s. 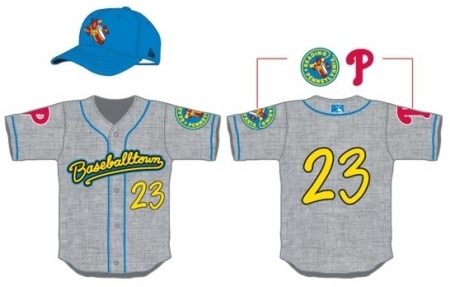 General Manager Scott Hunsicker also revealed the team's new logo, uniform set, and identity program focusing on family fun and Baseballtown heritage. SEE ALSO: Reading Phillies will change their name after 46 years. The new logo will feature an ostrich which has found a home in Reading with the Crazy Hot Dog Vendor. The ostrich's fists are up and ready for a fight. 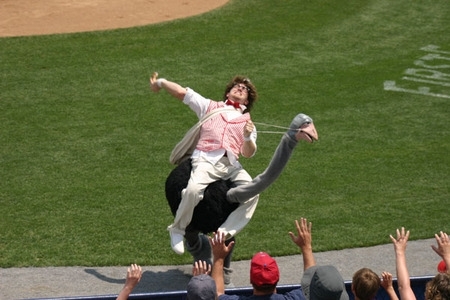 This is the first professional team in sports to use an ostrich as their mascot. 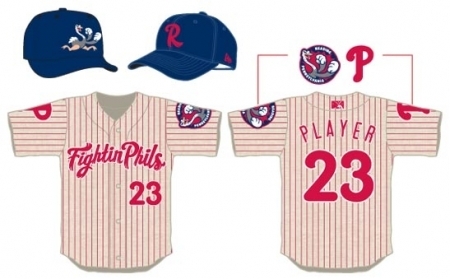 The team will have a wide variety of uniform combinations that include unique symbols of an "F-fist" logo, a historic feathered "R" logo, and several feathered "Fightins" and "Fightin Phils" letterings. Their official colors include Phillies Red, Nighttime Navy, Feather Gray, and Ostrich Flesh. They'll have classic red pinstripes for Home games, navy for alternate home uniforms, and grey uniforms sporting the Baseballtown name for road games.